"We strive to create the best possible design solutions for our clients. We want to make sure our clients love the process, not just the finished product." Paige Williams opened the interior design firm in 2014 after working in the industry for five years. In 2016, Mia LeNoir joined the team as a designer, and Paige Williams Interior Design opened an office location in Cool Springs/Franklin, Tennessee. In early 2018, Brittany Creekmur started in the firm as a designer, followed by Jaclyn Henderson as a collaborative designer for Tribe Interiors in mid 2018. The design firm designs both residential and commercial spaces. Services include space planning, selection of paints & fabrics, AutoCAD design, custom window treatments & upholstery, rugs, & more. Paige Williams Interior Design was listed among 'Reader's Favorite Interior Designers' by Nashville House & Home & Garden Magazine and 'Best Interior Designers in Nashville' by Expertise in 2018. In 2017, the team was listed among Williamson County’s 'Best Interior Design Firms' in Franklin’s Sizzle Business Awards. 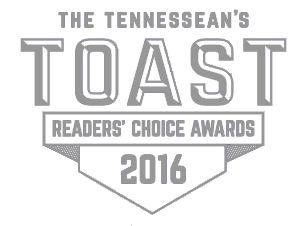 And for the past two years, they have been named 'Best Interior Designer' by The Tennessean.